I can't believe how quickly time and Summer are passing - its nearly mid-August already. September and relative calm approach - but a busy Summer season is in progress in St Ives and as ever - Lots On! Rollers Roller Disco - St Ives Guildhall - three sessions for all ages - 5.00 pm Family Skate - 6.30 pm Teen Skate - 8.30 pm Over 18s Roller Disco Party. 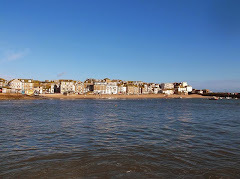 St Ives Raft Race - on the harbour - starts at 7.00 pm. Saturday (10th) - various art exhibitions including Tate St Ives, St Ives Arts Club and St Ives Society Of Artists. 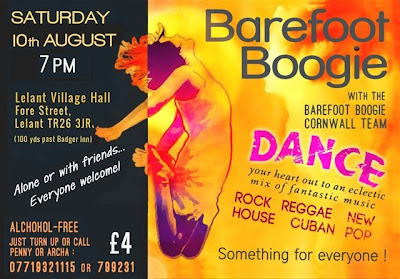 Barefoot Boogie at Lelant Village Hall. Sunday (11th) - Puppet Show at Boathouse Theatre, Music and Performance evening at St Ives Arts Club. Some highlights for the week ahead - Markets at St Ives Guildhall, Guided Tours, Clay Days for children at Leach Pottery, Beach Workshops with Tate St Ives and a Pop-Up University on Porthmeor Beach.